Who doesn’t love a great love story? Weddings mark the beginning of a couple’s life together and celebrate the new journey that’s ahead for them. In this, our annual Wedding Issue, we bring you stories filled with all the wonder, magic, and hope for the future that a wedding day can conjure. In the past, I have jokingly shared with newlyweds-to-be who were overwhelmed by the planning of their nuptials, “If you can survive the stress of the decision making, the planning, and the family politics—and you still like each other by the end of the wedding celebration—there is a good chance your marriage will make it. It’s a test. Life will throw you curve balls no matter what, so the faster you learn to field and catch them, the better off you will be.” And I say it with a smile to let them know everything will be all right as we commiserate with one another about dealing with the stress of the impending event. I then explain that at my own dream outdoor wedding reception, which was held on the lawn of Eden Gardens State Park in historic Point Washington, Florida, it rained with almost tropical storm intensity. Friends and family told me it was a sign of good luck as I held back my tears. 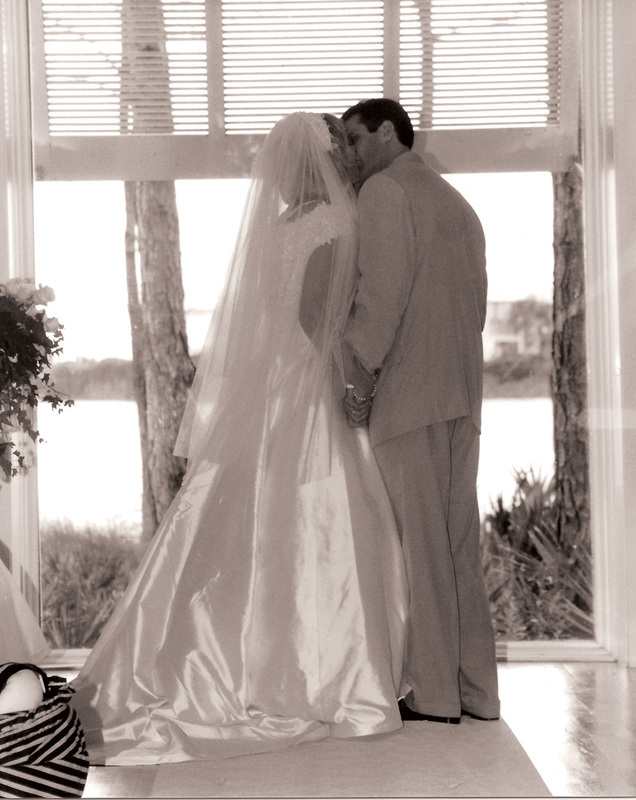 Fast-forward seventeen years later—still happily married. There just might be some truth to that old wives’ tale after all! The stage is set. Enter the bride and groom. Months of time and energy have gone into their wedding. Never before have there been such copious resources to help them imagine every detail of “the big day.” Pinterest, wedding magazines, and online wedding planners are changing the face of the wedding business, helping it grow exponentially. Unique invitations, a showstopper dress, a statement cake, and an unusual reception venue are just some of the accoutrements necessary for a flawless and memorable wedding celebration. Weddings are big business, and it seems as if the $40 billion industry catering to “love” knows how to market like never before. I have been a big fan of Anthropologie––one of my favorite places to shop for the “unordinary” dress, hat, or curtains––for several years now, and I subscribe to their online mailing list. A couple of years ago, I received an e-blast from the creators of Anthropologie about the launch of their new sister company, BHLDN (BeHoLDeN)—a hip new wedding boutique. The design of the message was gorgeous and it spurred me, being the good consumer that I am, to go directly to their new website to check it out. It was love at first sight! The options of dresses, unique veils, shoes, and bridesmaid brunch outfits are endless and magical. In typical “Anthro style,” this new sister store shares a commonality—elegant boho chic! Wedding fashion has never been more fun! What a great segue to introduce our cover bride and groom. We are always striving to have each and every cover stand out and be noticed—to trumpet life and excitement! This issue is no exception. The image by Lesley Isacks clearly captures the passion, love, and happiness of this strikingly beautiful couple, Shelley Parker and Antonio Poveda-Lopez, on one of the world’s most beautiful beaches—Grayton Beach, Florida. All weddings are not created equal, and a wedding where love abounds is still the most splendid thing! To a long and happy life together, Shelley and Antonio Poveda-Lopez (—and now, little Belén)!